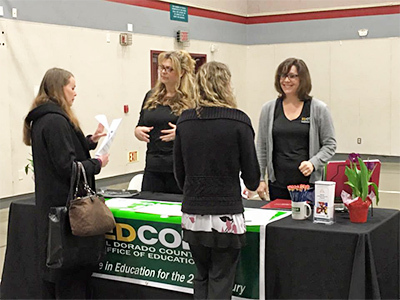 The El Dorado County Office of Education (EDCOE) is partnering with Brandman University to host an education hiring event for EDCOE county-wide programs and school districts. Attendees will receive information and application instructions for certificated and classified positions, including substitute opportunities. Individual programs and school districts will be onsite to answer questions and meet face-to-face with potential new employees. Last year’s job fair was extremely well attended, so don't miss out this year! El Dorado County is a destination for education and a wonderful place to work. Available positions include teachers - elementary, secondary, substitute; special education - teachers, aides; State Preschool/Head Start - teachers, aides; school psychologist; school nurse; van/bus drivers; food service; office administration; language, speech and hearing specialists, and much more.